It’s almost Valentine’s Day. That means an occasion to have a party for your friends and loved ones. A romantic date, candle-light dinner, party full of guests or a trip to your favourite destination, you can celebrate the day of love in many ways. 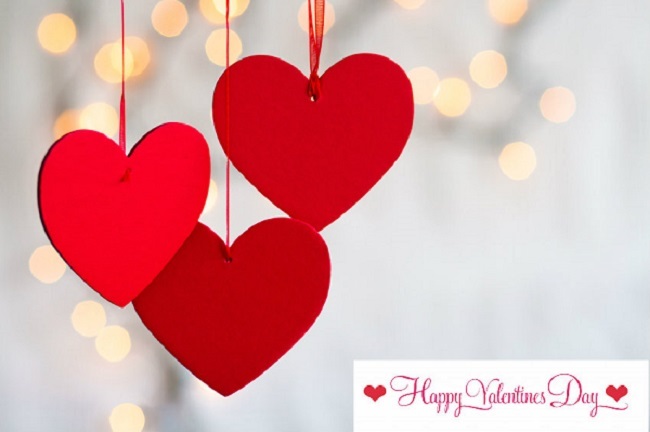 If you are planning to share the love this year by hosting a Valentine’s Day party, then we have some creative party ideas for you. As the occasion is to celebrate love, then the decorations around the location of the event must also contribute to the mood. Accessorize your front door with pink hearts, white paper lace doilies and red roses. Place a black table cloth and red table mats with white crockery. Add hints of red and white on the table by putting white and red carnations in a glass vase. Illuminate the house with lots of candlelight to add drama to the whole set-up. Simple and interactive games are the best bet if you want everyone to enjoy the party. Organize a game to stack conversation hearts and award the one with the highest standing candy tower with a gift. Or, if you want something a bit more interactive, rent karaoke equipment and let everyone sing their heart out. You can also add a game of ‘Guess That Love Song’ where one person picks the song and the other guesses it. Valentine’s Day is incomplete without chocolates. You can use these delectable treats to make your party super-sweet. In fact, you can make an event of it! Start with chocolate-covered strawberries, chocolate pudding for dessert and a heart-shaped box of chocolates as a gift for your guests. Celebrate the season of love with a special menu that simply says ‘I love you.’ Put simple cuisines on the menu for starters like balsamic salad and bruschetta. Sparkling white winter sangria is a good choice for drinks. You can make it kid-friendly by using orange juice instead of orange-flavoured liqueur. For the main course, you can serve spinach-stuffed chicken breast, spinach & ricotta slice or cider-braised chicken thighs with mashed potatoes. The menu will be incomplete without a lip-smacking dessert. No-bake cheesecake bites or chocolate toffee brownies are perfect to complete the valentine’s day party. February 14 is the day to celebrate love and togetherness. Utilize this opportunity to make your loved ones feel special. Cherish each and every moment of that day with these creative party ideas and make it a memorable one.